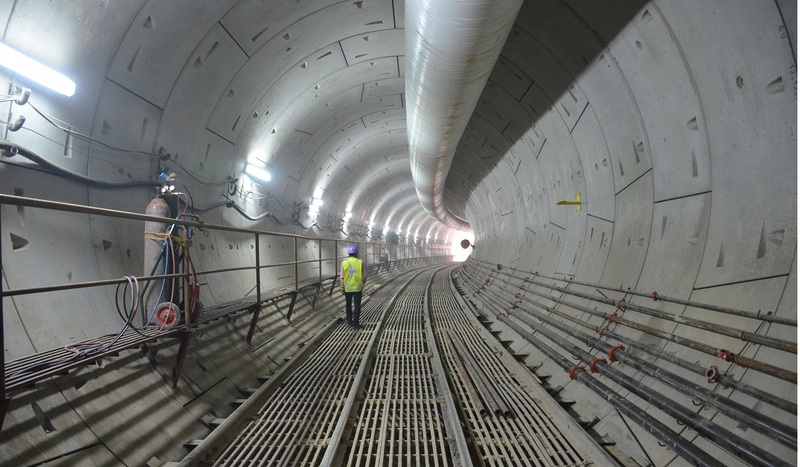 Delhi: Delhi Metro Rail Corporation (DMRC) has finally taken a step to improve mobile connectivity for underground metro. This step has been taken after several passengers complained of poor to bad mobile connectivity while travelling in underground metro. DMRC in order to improve travel experience has awarded a bid for bid for providing mobile network connectivity in all the underground stations of Magenta and Violet line. Commuters can now expect an improvement in mobile connectivity while they travel in underground Delhi Metro. Mohit Kumar Gupta, consumer activity and advocate has complained to the authorities. Gupta has faced a lot of problem with regarded to mobile connectivity while commuting in underground metro. With no respite to the problem, Gupta filed a complaint at Chirag Dilli Metro station on June 16. Gupta was disappointed after getting a reply to the complaint filed. DMRC gave an unexpected reply. The officials replied to Gupta that “Our network does not work here, what will happen with the complaints. You go network will come tomorrow” when he had gone to file a complaint. Gupta did not stop his crusade to send across his complaint to various DMRC officials. He made several complaints to higher officials and eventually the officials did get contact him. It is not just the underground Delhi Metro stations where people have mobile connectivity issue. They also face similar issue in in the heritage corridor (Violet line) from ITO to Kashemere Gate. Commuters feel that DMRC should not only focus on improving mobile in underground metro. They should concentrate on other lines as well commuters are facing mobile connectivity issue. The Magenta Line was inaugurated in May by Prime Minister Narendra Modi and is also known as knowledge corridor. This line connects Botanical Garden in Noida from Janakpuri west and consists of 25 stations. Pink line on the other hand connects Maljis Park to Durgabai Deshmukh South Campus and has 12 metro stations.